Remove the intermediate steering shaft lower bolt. 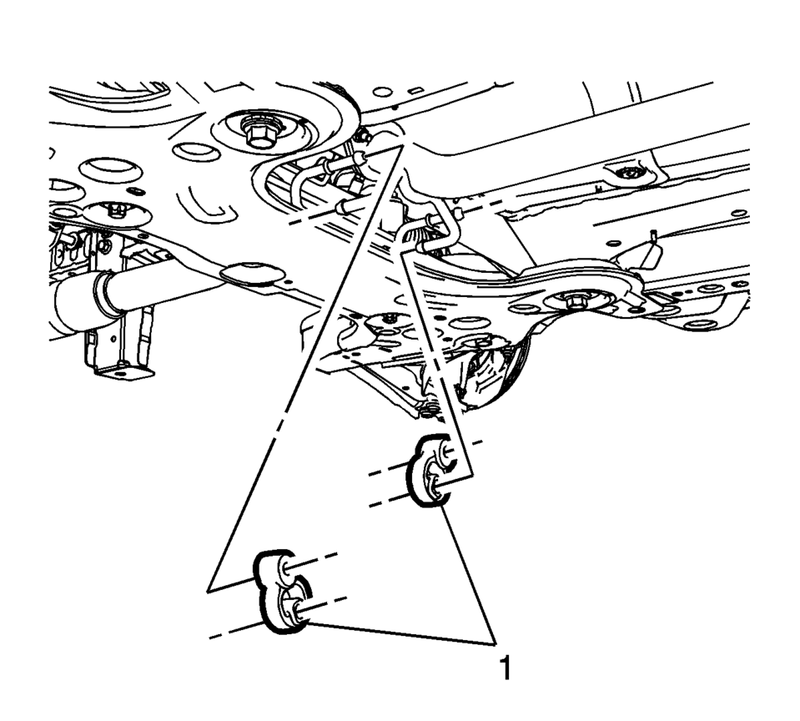 Refer to Intermediate Steering Shaft Replacement. Remove the front wheelhouse inner liner front extension. Refer to Front Wheelhouse Liner Inner Front Extension Replacement. Remove the stabilizer shaft links from the stabilizer shaft. Refer to Stabilizer Shaft Link Replacement. Remove the lower control arm ball joint bolt and nut from the steering knuckle. Refer to Lower Control Arm Replacement. Remove the transmission rear mount to bracket retaining bolt. 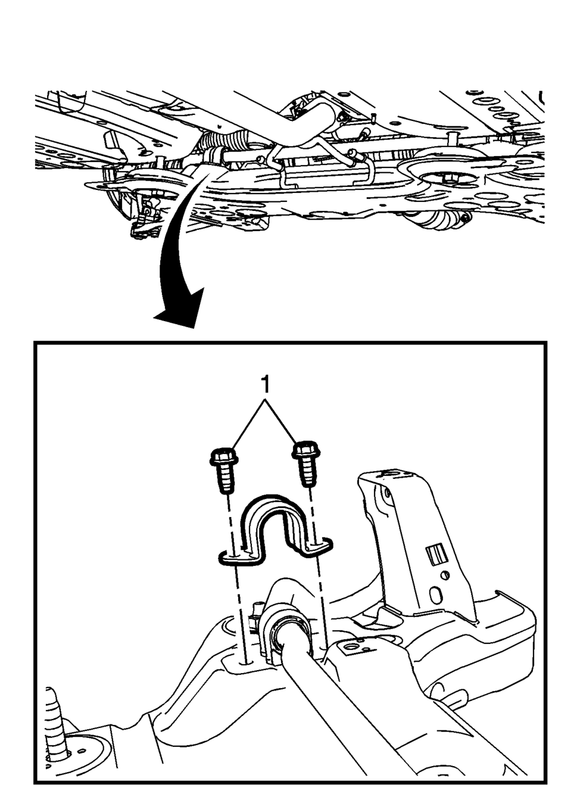 Refer to Transmission Mount Bracket Replacement - Rear. Remove the exhaust pipe insulators (1). Release the front suspension frame front bolts about 10 mm. Usingf a suitable support, support the crossmember area of the cradle. It is not necessary to remove the front bumper facia in this procedure. Remove the stabilizer shaft insulator bolts (1). 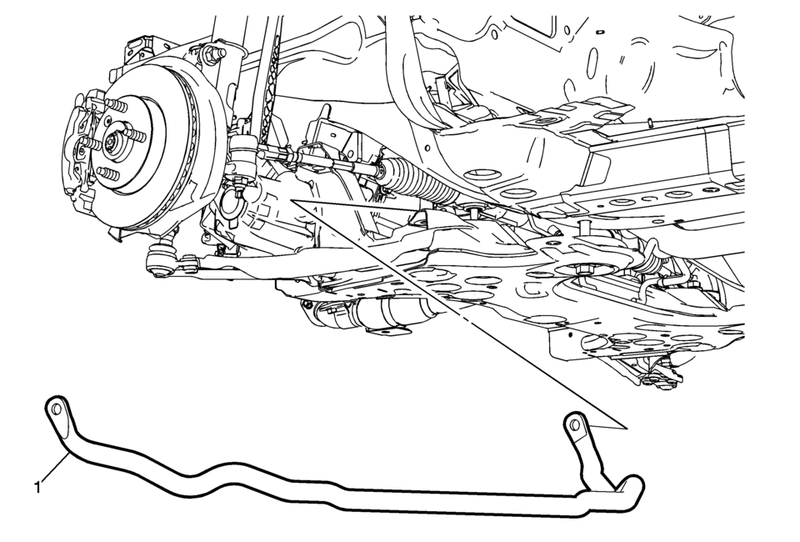 It maybe necessary to maneuver the front stabilizer shaft in such away as to remove it from the front suspension frame. Remove the front stabilizer shaft (1) from the front suspension frame. Position the front stabilizer shaft (1) in the front suspension frame. Install the front stabilizer shaft insulator bolts (1) and tighten to 22 Y (16 lb ft). Lift the front suspension frame (1) into the proper position and tighten the front suspension frame bolts. Refer to Drivetrain and Front Suspension Frame Replacement. Install the lower control arm ball joint to steering knuckle bolts. Refer to Lower Control Arm Replacement. Install the stabilizer shaft link to the stabilizer shaft. Refer to Stabilizer Shaft Link Replacement. Install the exhaust pipe insulators (1). Install the front wheelhouse inner liner front extension. Refer to Front Wheelhouse Liner Inner Front Extension Replacement. Install the intermediate steering shaft lower bolt. 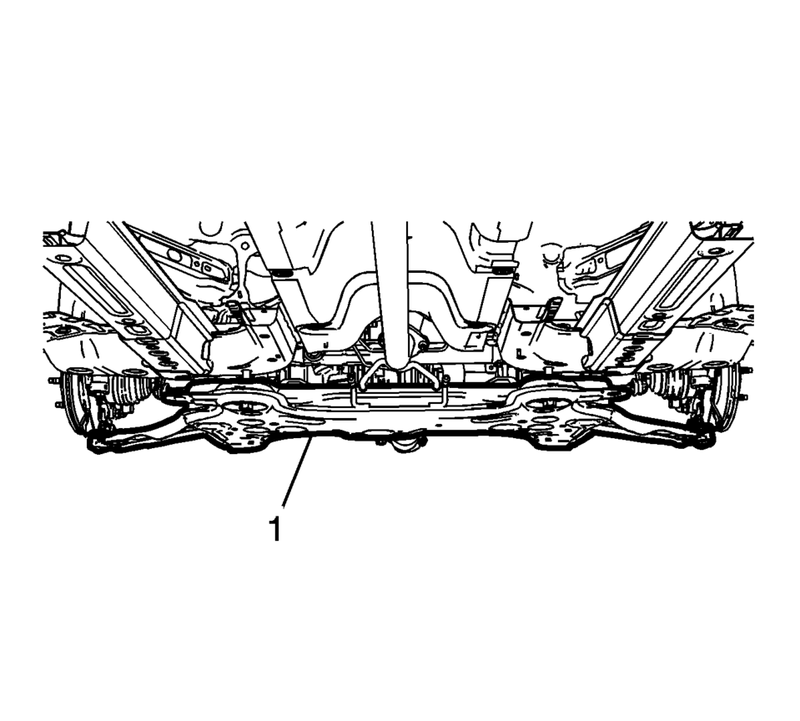 Refer to Intermediate Steering Shaft Replacement.